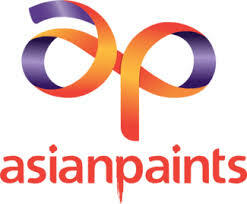 On a consolidated basis, Asian Paints' net profit rose 29.63% to Rs 571.31 crore on 15.07% increase in net sales to Rs 4390.27 crore in Q1 June 2018 over Q1 June 2017. The result was announced after market hours yesterday, 24 July 2018. Hero MotoCorp, L&T and Ambuja Cements will unveil April-June 2018 earnings today, 25 July 2018. Oil India said it has signed a joint venture agreement at Guwahati on 20 July 2018 in connection with formation of a JV company for construction of North-East Gas Grid Pipeline in the eight North-Eastern States, viz. Assam, Arunachal Pradesh, Meghalaya, Manipur, Mizoram, Nagaland, Tripura and Sikkim. The proposed JV company will have equal equity contribution from all the five PSU JV partners. The announcement was made after market hours yesterday, 24 July 2018. HDFC announced after market hours yesterday, 24 July 2018, that in the proposed meeting on 30 July 2018, the company's board will consider raising up to $1.5 billion via external commercial borrowing (ECB). The company had earlier announced that its board will meet on 30 July 2018, to consider Q1 June 2018 results, and approve issuance of secured redeemable non-convertible debentures aggregating to Rs 35000 crore on a private placement basis, subject to approval of shareholders of the corporation. Music Broadcast's net profit rose 24.5% to Rs 13.50 crore on 7.6% increase in net sales to Rs 75.68 crore in Q1 June 2018 over Q1 June 2017. The result was announced after market hours yesterday, 24 July 2018. Further, Music Broadcast's board unanimously approved a buyback proposal.  The company will purchase its fully paid up equity shares of face value of Rs 10 each, at a maximum price of Rs 385 per share. The buyback shall not exceed Rs 57 crore, representing 9.87% of the aggregate of total paid-up equity share capital and free reserves of the company based on audited financial statements of Company as on 31 March 2018. Andhra Bank said that it received Rs 2019 crore towards contribution of the central government in the preferential allotment of equity shares of the bank. The result was announced after market hours yesterday, 24 July 2018.